My mother-in-law Elizabeth Fronnie Stafford was a ringtail tooter! Oops! Nobody, I mean not one soul was supposed to know her middle name. She hated it! Lizzy left us in 1997 but her mom-isms are alive and thriving in our family. 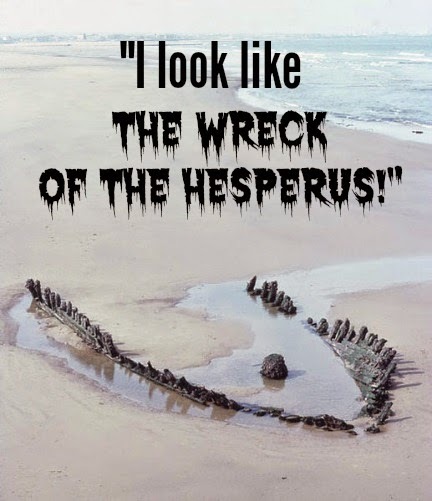 I'm figuring looking like The Wreck of the Hesperus is as ugly and ghastly as one can get! Are you familiar with the poem? I hope you are now and...you have a new way to say "I look terrible!"